All laboratories must be equipped with flasks of different types. 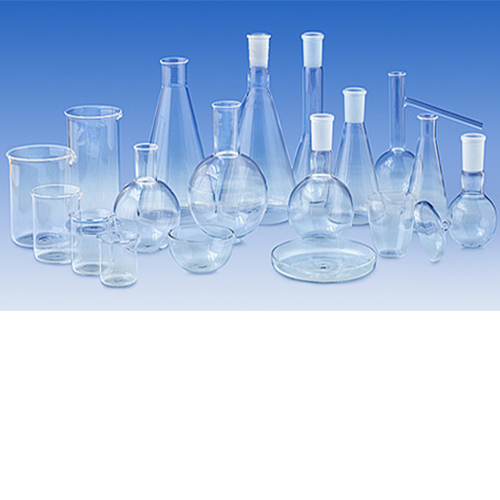 We offer a wide range of flasks, boiling, culture, distilling, erlenmeyer, filtering, iodine and kjeldahl - for a variety of applications to meet customer?s requirements. BOROSIL® Brand flasks are designed to give the best combination of thermal shock resistance, physical strength and resistance to chemical attack. They are made to withstand the demands of the modern laboratory. The flasks with interchangeable joints (single, 2neck, 3neck) are particularly suitable for all glass apparatus assemblies. We offer the interchangeable joints most commonly specified for a particular capacity. Adapters Cat. No. 8800 and 8820 can be used to connect flasks with one size joint to any other apparatus having another size joint.